To Educate, Encourage and Advocate for sufferers of all adrenal diseases. This foundation was created to educate, encourage and advocate for adrenal disease patients and was in no way founded to glean benefits from those who suffer from adrenal disease. All donations will be delegated to funding the necessary expenses of this foundation and to redistribute the resources to those in need. 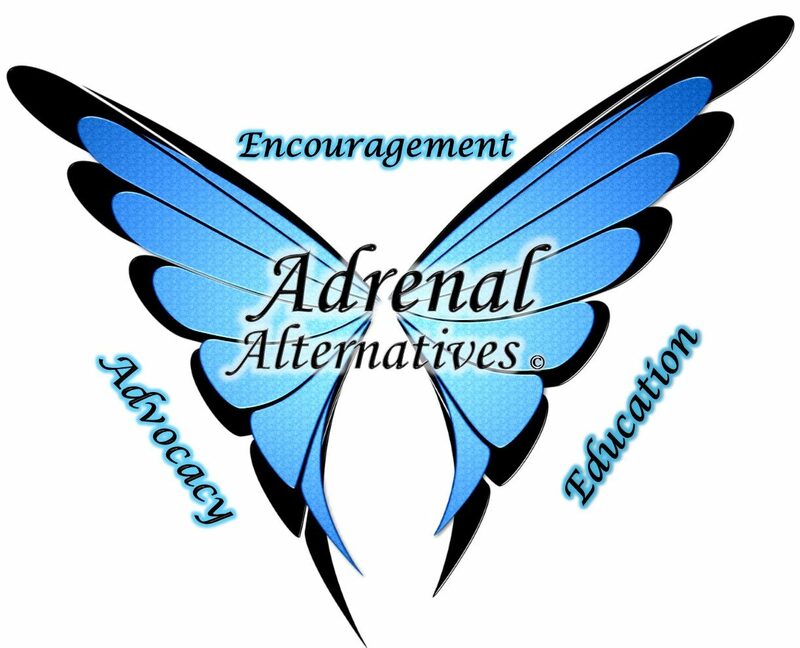 Adrenal Alternatives seeks to ensure all adrenal disease patients have access to the help this foundation can provide. The Foundation does not and shall not discriminate on the basis of race, color, religion (creed), gender, gender expression, age, national origin (ancestry), disability, marital status, sexual orientation, or military status, in any of its activities or operations. These activities include, but are not limited to, hiring and firing of staff, selection of volunteers and vendors, and provision of services. We are committed to providing an inclusive and welcoming experience for all members, staff, volunteers and clients.